The Korg Pitchblack Mini Chromatic Guitar Tuner Pedal offers a slim line alternative to its renowned PitchBlack tuner series but with all the same functionality - an ultra compact, chromatic tuner pedal with true bypass. The Korg PitchBlack Mini has a large, bright LED display for easy viewing on dark stages, and is ideal for guitarists and bassists. 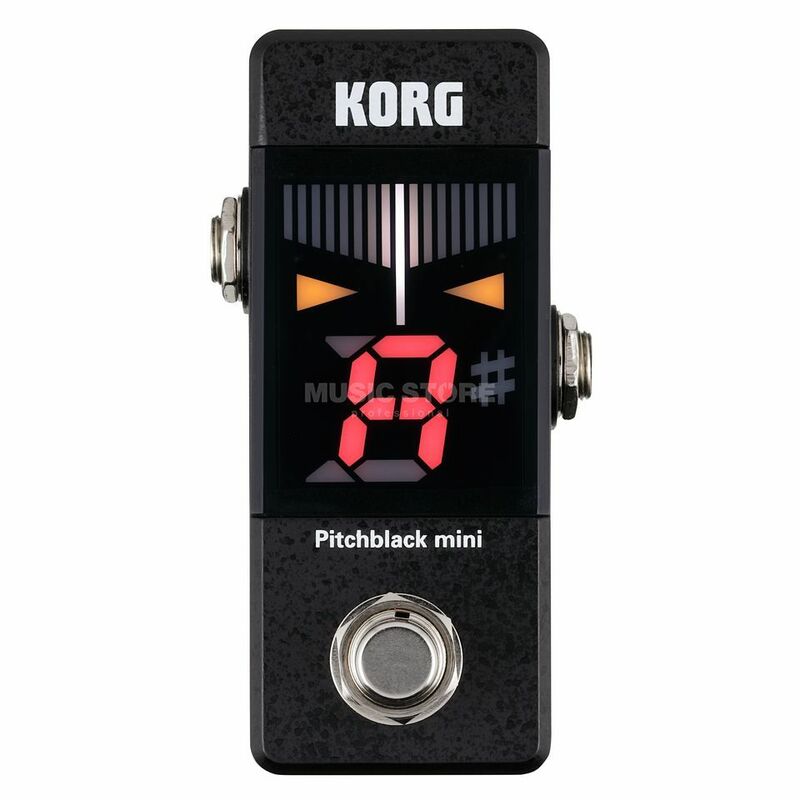 With multiple tuning and display modes, such as meter, half strobe and full strobe modes and mirror mode, the Korg PitchBlack Mini is a versatile tuner to suit most tuning preferences. The PitchBlack Mini mutes the signal to enable silent tuning, and the inclusion of true bypass means that the signal is sent directly to the output jack when the unit is off to protect the instrument's tone.